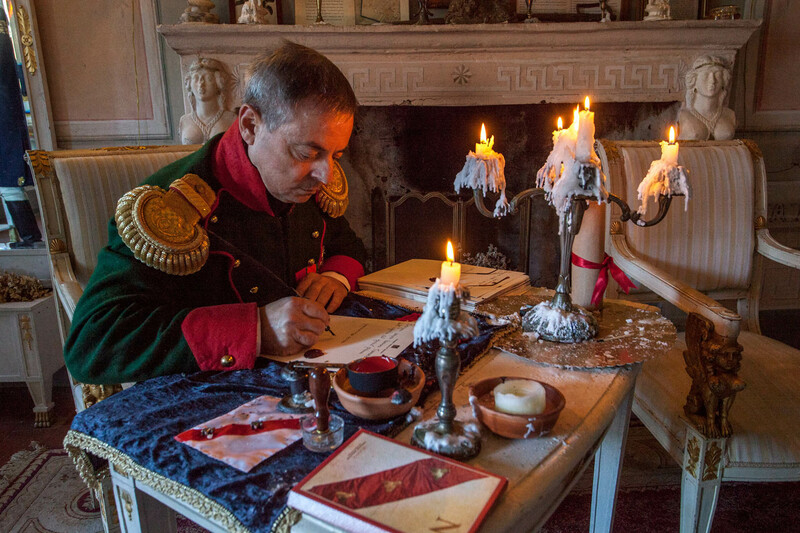 “The link between Napoleon and the Island of Elba, where the Emperor stayed for 9 months during his first exile, is well known; there are many places designated as official residences in Portoferraio. However, a visit to the fascinating eighteenth-century house, Casetta Drouot, reopened in 2014 on the occasion of the Bicentennial, is an opportunity to learn more about the man”. 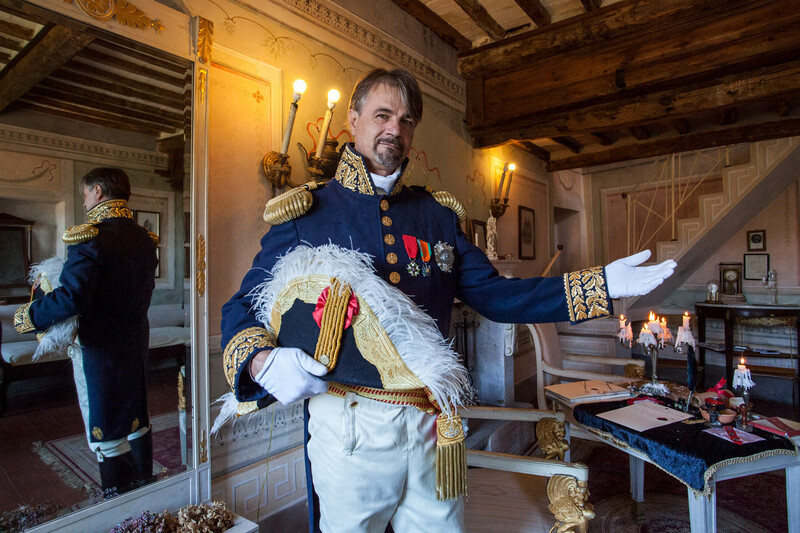 Franco Boschian, actor and member of the Compagnia dei Tappezzieri, who, in the guise of General Antoine Drouot, governor of the Island of Elba, welcomes us to the former residence that has been recently renovated. Count Drouot welcomes guests to his residence, Casetta Drouot, at Poggio on the Island of Elba. “The unique feature that distinguishes this Napoleonic setting is that it can be transformed into a theatre for historical re-enactments. 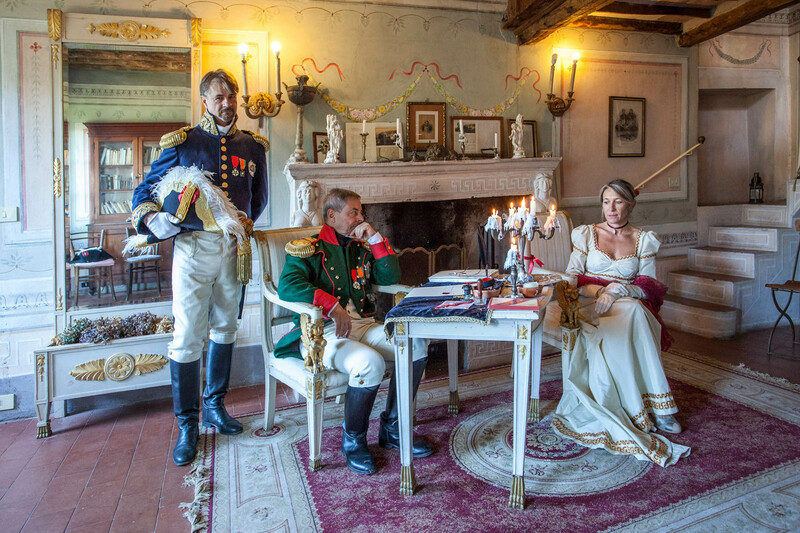 Here Napoleon and his entourage, interpreted by the actors of the Compagnia dei Tappezzieri, accompany visitors in an exciting reconstruction of the exile of the Emperor on Elba; guests, interacting with the characters between a glass of myrtle and a taste of petite pâtisserie, are pleasantly lead into the warm atmosphere of the nineteenth century. A visit to Casetta Drouot is a fascinating and memorable experience of Elba that can’t be missed. An encounter with Napoleon doesn’t happen every day and only from his own recollections is it possible to understand his true nature. Visiting the house you discover the desires, states of mind and passions of a man who had fallen into ruin but who wanted to rise again. You will also sense the romantic relationship with his beloved, the Polish Countess Maria Walewska, the only woman who came to visit him during his exile; Count Drouot will play host and present you to the Emperor. You will witness a true historical reconstruction and the allusions made by the Emperor to the present day and his subtle irony will capture your attention and appeal to your sense of humour. Bedroom, Casetta Drouot, Poggio. Island of Elba. The little house, named after the faithful general, Antoine Drouot, to whom the Emperor entrusted the role of governor of the island, dates back to 1751 and is located in Poggio, a small village surrounded by chestnut trees on the slopes of Mount Capanne. The house/museum is owned by the Ferruzzi family and has undergone painstaking restoration, especially of the eighteenth century decorations with floral motifs and Empire style architectural elements; inside, a bedroom and a study-living room with large mirrors, enriched with prints, drawings, objects, books and documents from the Napoleonic era, have been restored in great detail. Study-living room, Casetta Drouot, Poggio. Island of Elba. Of particular note is that two well-known authors have stayed in this house, drawing on the wealth of material in the Napoleonic library: Ernesto Ferrero, winner of the 2000 Strega Literary Prize with the famous novel “N” (which inspired the film by Virzì) and Massimo Nava, author of the novel “Infinito amore” about the sentimental relationship between the Emperor and the Countess Maria Walewska. The house has also been the location of documentary films about Napoleon and television broadcasts like Sereno Variabile. Casetta Drouot, Poggio. Island of Elba. The visit to Casetta Drouot, including theatrical entertainment, lasts about an hour and a quarter. The maximum number of participants per visit is 18 people and is also suitable for children. Casetta Drouot is open every day by appointment and candlelit evenings can be arranged by contacting the theatre company, Compagnia Teatrale dei Tappezzieri”. Book the only hotel with Personal Manager, an expert travel adviser available for tailoring all the details of your holiday. Combine the theatre show with a romantic dinner in the nearby and renowned Publius restaurant and end the evening in a delightful Boutique Hotel just a few minutes’ drive away. The show in Casetta Drouot is also suitable for families. Manoeuvring pushchairs and prams in the medieval villages of the island can be difficult. If you have very young children, a baby carrier is best for moving around the streets of Poggio more easily. 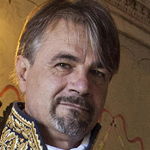 We would like to thank the actor in the guise of General Antoine Drouot, Governor of the Island of Elba, Franco Boschian, a member of the Compagnia dei Tappezzieri theatre group, for telling us about the fascinating historical representation in Casetta Drouot.